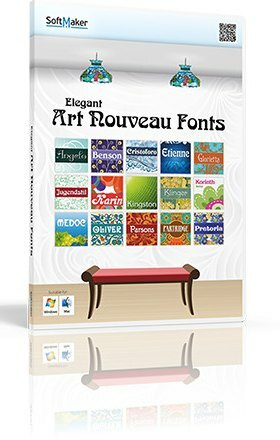 Elegant Art Nouveau Fonts software normally cost $19.95 for purchase. As part of promotional offer, SoftMaker is giving away Elegant Art Nouveau Fonts software to everyone for free. Interested users who intend to try can grab the download link to download the free software. Then click on “submit registration” button to proceed. An email from SoftMaker will receive containing with download link. Follow email instruction to enjoy lifetime license. Note: The license without free upgrades/updates and supports. Elegant Art Nouveau Fonts compatible with Windows, Apple Mac, and Linux systems.